She was born on 19 December 1925 in the village Gasnica near Gradiska, Bosnia and Herzegovina. She finished elementary school in neighboring Bistrica. She attended the first class of women Vocational School, with her older sister Dara, in Bosanska Krupa. As a student, she emphasized the hard work and seriousness. Her role model was uncle Vladeta Radic, who was a high school student involved in the progressive labor movement. During the first offensive on rebels Kozara, in November 1941, the Ustashas arrested Lepa and all the remaining family members Radic but, with the help of illegal partisan associates after 20 days of mistreatment in the Ustasha prison in Gradiska they were released. After being released from prison she joined up to the 2nd Krajina Detachment. As a member of the staff for the evacuation of the wounded and the population of the endangered areas, Lepa was among the most prominent organizers of refugees who, in February 1943, found in the frozen Grmeč. Towards this mountain were advancing units from the 714th, 717th, 369th and 7th SS "Prinz Eugen" division. 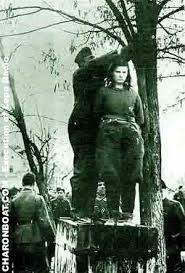 In the evening of February 8, 1943. refuge which was led by Lepa Radic suddenly were surrounded but she remained calm and brave. 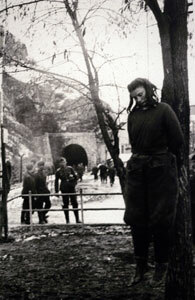 She fired at the Germans from their rifles, defended the urging people to fight with their bare hands, not to give up. 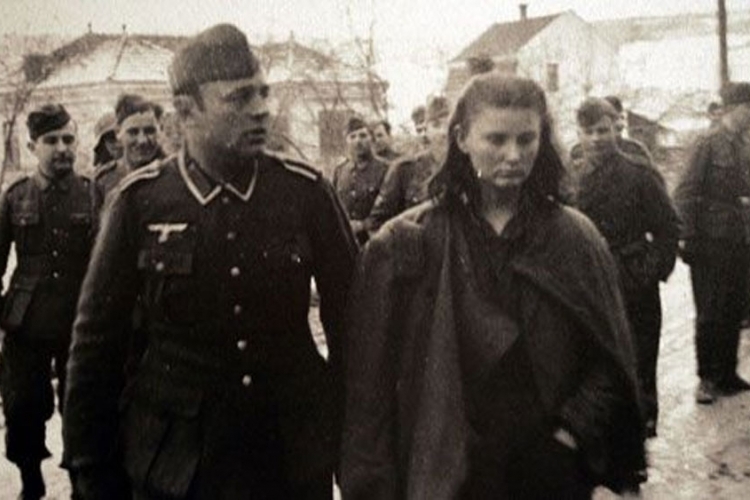 She tried, God knows how many times, to protect people who were caught by SS and abused on the way to Bosanska Krupa, "Kill me, people are not guilty" she shouting, staggering under the blows of legionnaires of the 369th Division. After three days of abuse, She was brought before built gallows. On the stand under the gallows, Lepa tried to address the trapped people from the refuge, but the noose broke her last words. 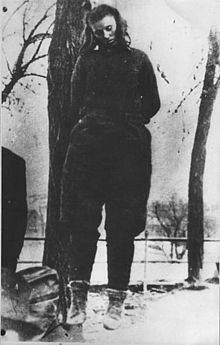 The report on the execution of SS wrote that: "the bandit girl, hanging in Bosanska Krupa, has shown unprecedented defiance". This is so horrifying. Thank you for sharing her story. I can't believe she was so brave. Incredible.